First we installed a battery, so we don't have to setup the generator first thing. 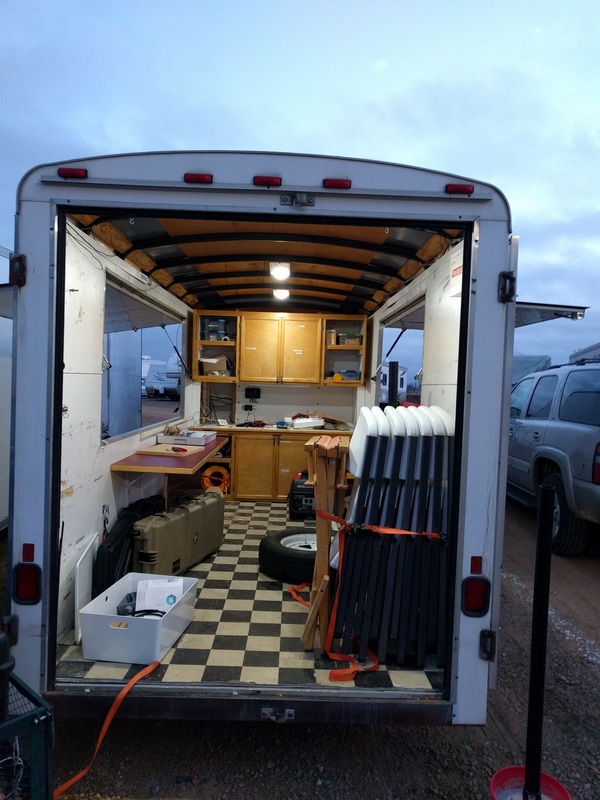 The timing trailer has all the networking equipment in it, so it needed to be turned on and running first thing for our Check in table. This also allowed us to run internal lights. Now, the battery lets us run nearly everything without the generator, but how to keep it charged? 100W of solar panel should do the trick on most days, but we'll still need the backup generator to keep everything humming. If I were to do this again, I'd just buy a combination switch and fuse panel. I didn't know they existed when I started this project. @CullenShane This is awesome!! Nice work! The Antenna and Access Point, covers 1000 linear meters in every direction. Which works out to a coverage area of about 2.2 square miles. It actually works too, I was using Windows Remote Desktop 900 Meters away from the timing trailer. At 1000m you can do much slower things, and transfer files, but nothing works quite fast enough for real time interaction. Access point was $80, Antenna was $180. Solar System was $150 for the panel, charge controller, and all the cables, shipped. At that point it was just bits and bobs, fuses, fuse panels, power meters, high amperage wire. That probably cost another $300 if I'm honest. I haven't added that bit up yet. Our Honda i2000 Generator cost $1200 5 years ago. We're on track to totally replace it for $900, with no more gas. Awesome! 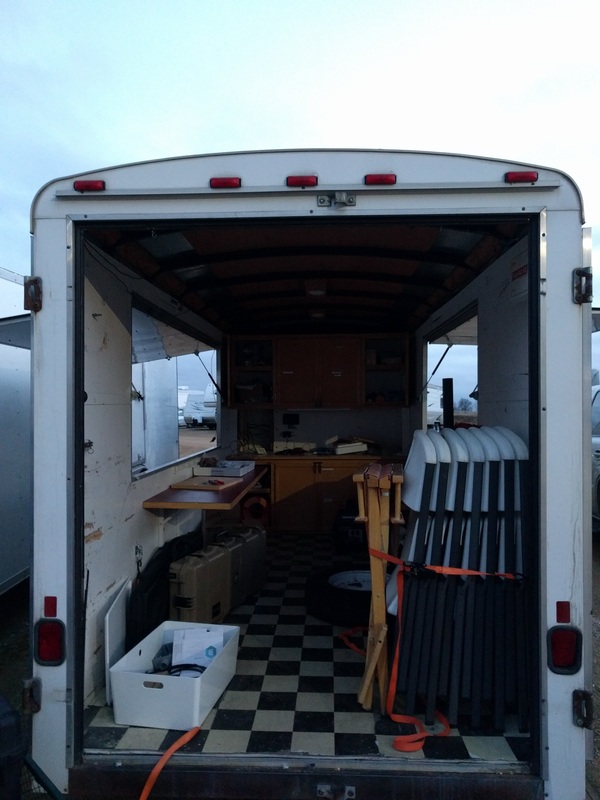 We are in the process of renovating an old trailer with very similar goals and systems. Great post! 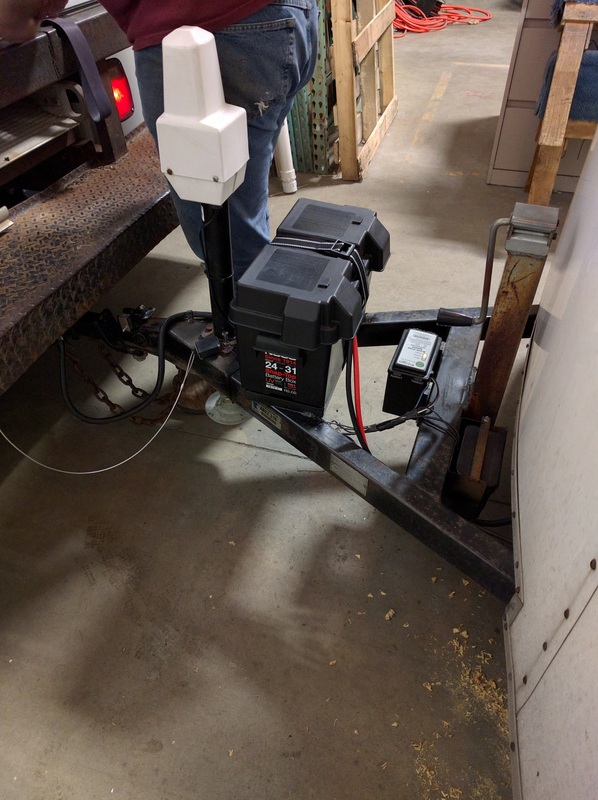 We have the inverter/charger (power converter) hardwired to a battery bank so we can start without the generator and then just run it for an hour or two during the day to recharge the batteries, and also while we are printing with a laser (400-500 Watts). For this reason we also oversized the converter and bought a 750 W model. That printer is the only real big draw otherwise we could probably get rid of the genny and just use solar to charge batteries. 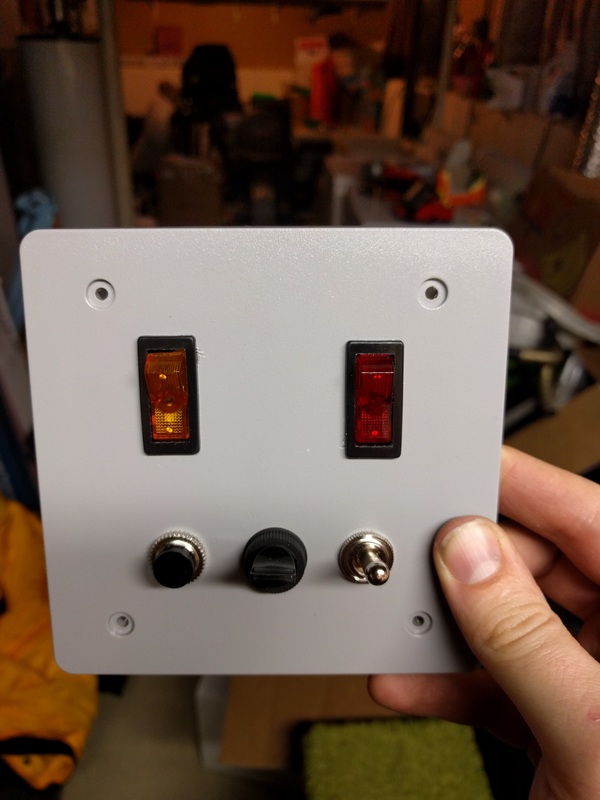 We bought a 100 W panel but haven't installed it yet. Maybe this week. Our other electrical systems include a wireless router and hotspot, much like you. We also have the fortune of having an A/V expert on our staff so he's set us up with a nice PA system with a couple of horns and also a low powered FM broadcast that can be heard for about a mile, give or take. The PA and FM both broadcast the same audio, usually from a wireless mic, although we've been toying with the idea of connecting a music player for interludes and event arrival notices playing on a loop prior to event start. The whole broadcast system only draws a few dozen Watts, surprisingly. Total draw for our trailer when we are running 2 laptops, 1 external monitor, router, and the audio system is around 125 W. We have a large battery (actually 2x 6V in series) for a total of 208 Ah or about 2500 Wh. 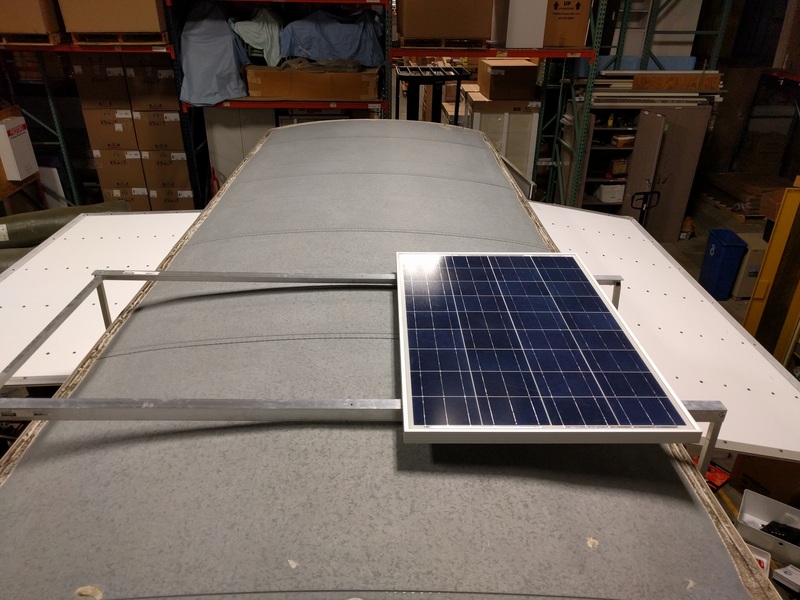 Once the solar panel is installed I think we might not even need to run the genset for printing, but we'll see how it goes. @canadabeau Very nice! Depending on your inverter your 750W might not be enough. The TrippLite that I spec'd is able to deliver 1250W for 15 minutes which is able to handle the 1Kw load that our laser draws on startup, most 750W inveters can only handle a peak load of 800W, which is normally below what a typical laser printer requires. Once it starts it's fine at only 250W, but that initial start is expensive. Also, 100W might not be enough to completely charge your large battery bank (in one day without an event), 200W is probably a better number. Lead Acid batteries don't like to sit very long without a pretty significant charge. I do like your larger bank! Very nicely sized! Just a quick update. We've been running without a generator for a couple months now. It's fantastic! The 100 W solar panel charges our battery between events. Most of the time we have at least a week or two between events. For doubleheader weekends, we might run the generator on Saturday night or Sunday morning for an hour or so, just to give the batteries some quick bulk charge, but so far we haven't needed to. It's been great! The only time the battery is stressed is during startup of the printer, and during printing, but it's temporary and doesn't really kill anything, just puts a heavy load for a short time. It may wear the battery out quicker though, but I'm not too worried. I've read that some other guys had issues with their printers drawing 1000-1500 W which is ridiculous! I thought ours 500 W was excessive! Anyway, other than printers, it's pretty doable to go all electric and not have to worry about generators anymore. @canadabeau That's awesome! I'd love to get to that next year. Working on it! Very cool. We are currently working on fund raising, design, and getting quotes of a new trailer and your ideas are very helpful. Curious, is there a reason, you put the entire WAP outside instead of just an antenna? 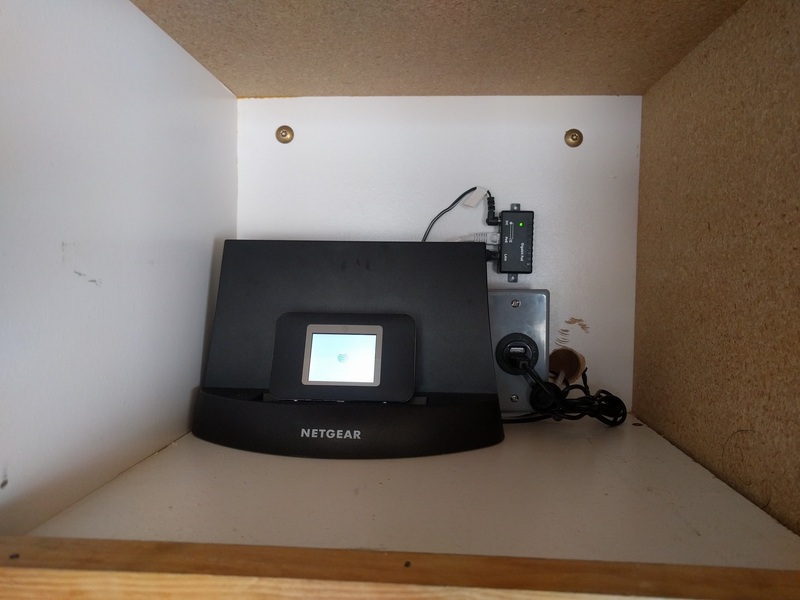 We were planning on using a normal wireless router, located inside the trailer. Its 3 antenna would be relocated outside via extension cables. Is there a reason we should not do this? Primarily it's because of reliability and reliability. The AP we're using is completely waterproof and designed to be pole mounted outdoors. 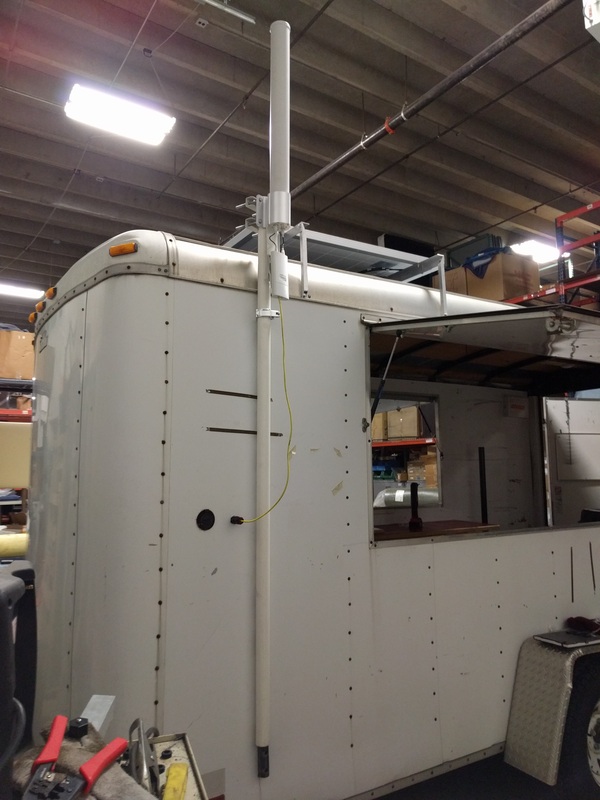 The antenna we purchased is designed to be used specifically with that access point and is also designed to be pole mounted. The AP we went with is a Ubiquiti Rocket M2 (now the Ubiquiti AirMax Rocket M2) and the Ubiquiti AirMax Omni 2G10, there's also a 2G13, but honestly it's a little overkill. For people that try to make reliable networks (things that don't have to be mess with.... ever) this is the way to go. Consumer access points available at big box stores are generally made to fail and sometimes fail after an extraordinarily short amount of time.